Hey everyone! 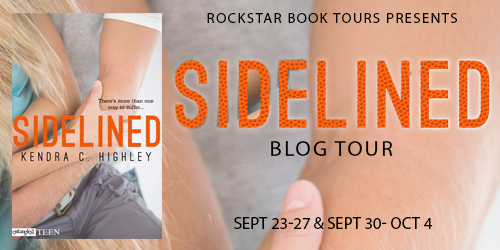 We are totally thrilled to announce the upcoming tour for SIDELINED, from author Kendra Highley, which will release in October from Entangled Teen! The tour runs for two weeks - September 23rd- 27th and September 30th- October 4th and will have one stop per day, and will consist of reviews, guest posts and interviews. The bloggers who are chosen as hosts for a guest post or interview stop will be required to come up with guest post topics (at least three) or interview questions (at least five) ASAP. Interviews can be author or character interviews. Review eCopies will be available to all hosts!. There will be also be an awesome giveaway as part of this tour. Details on that TK. 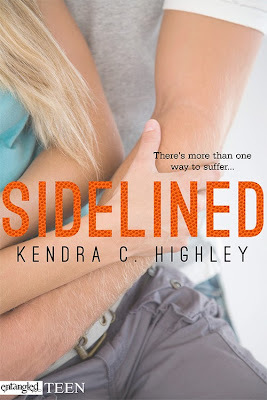 We are super stoked to be able to help spread the word about this awesome author and her debut novel SIDELINED! After being pushed to excel her entire life, high school basketball star Genna Pierce is finally where she wants to be. University scouts are taking notice, her team is on its way to the state tourney, and Jake Butler, the hot boy she's daydreamed about since ninth grade, is showing some definite interest. 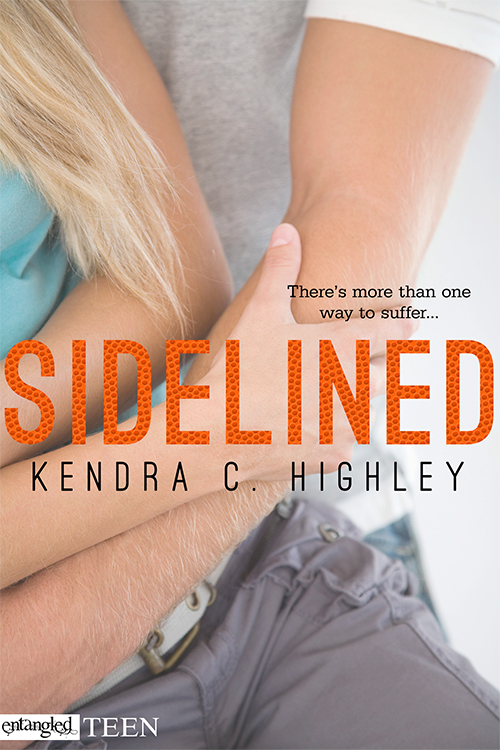 When he asks her out and their relationship takes off, Genna believes things can't get better. A freak accident ends her career before it's even begun. Her parents are fighting more than ever, her friends don't understand what she's going through, and she's not sure who she is without basketball. And while he tries to be there for her, Genna doesn't understand how Jake could ever want the broken version of the girl he fell for.